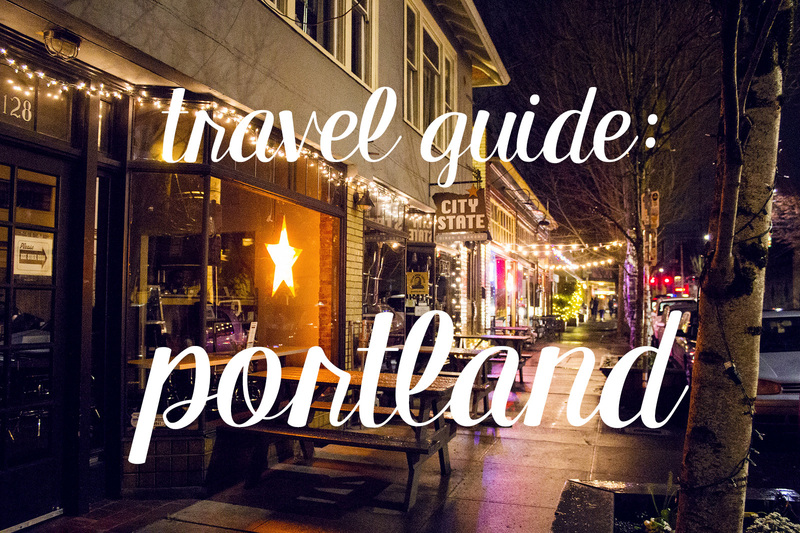 travel guide: a weekend in portland. as you know, i was recently in portland for a couple of days. i really really loved it there. i thought i’d compile some of the places into a mini travel guide, as if you would be there for a weekend, yeah? disclaimer: i do not know portland well at all, i mean i was only there for a couple of days! but i thought i’d write down some of the places i liked, so that you can go there too, non? ok. welcome! let’s start on a friday at around noon with coffee at ristretto roasters. i’ve only been to the northeast location, but head to the 2181 nw nicolai st for the sake of the convenience of this day’s guide, because then, i suggest you go to the japanese garden (400 sw kingston ave). stroll through the absolute calm and breathe in the fresh and crisp air. after that, you might be hungry, so head down back downtown for italian pasta lunch at grassa (1205 sw washington st). they have handmade pasta and cute local wine served in water glasses. when you’re done, go around the corner and check out the vintage finds at buffalo exchange (1036 w burnside st). then, spend the afternoon in chinatown — and don’t forget to be touristy at the keep portland weird sign a block away! in the evening, go across the river to base camp brewing (930 se oak st) for craft beer and fries. a portland visit isn’t complete if you haven’t visited powell’s books (1005 w burnside st), the world’s biggest book store, so definitely take an hour or two to do that. <3! when you’re starting to get overwhelmed (you will eventually), go for lunch around the corner to lardo (1205 sw washington st). their tuna melt is MAGIQUE (!!). after you’ve charged up at lardo, go up and take a mini hike in forest park (4099 nw thurman st). it’s a huge forest, and so so green and the air is fresh and amazing. AH. after a few hours here, you will need coffee, so head down to famous stumptown coffee (1026 sw stark st) and get yo some portland roast. yum yum. as for dinner, you should definitely not miss out on thai food at paadee (6 se 28th ave). SO good. make sure to call them before and check on table bookings! and if you’re not exhausted from this day, you might want to wind down at some cute brewery nearby, or at apex bar (1216 se division st) for example, they have like a million beers on tap! every day calls for at least one good cup of coffee. the sunday one, i suggest you grab at cup & bar (118 ne martin luther king jr blvd). they are a coffee place and have their own chocolate too! very cool and a beautiful location. spend the rest of the day shopping before you leave. go down to the hawthorne area and check out house of vintage (3315 se hawthorne blvd), which is just HUGE (i got lost in there), and red light clothing exchange (3590 se hawthorne blvd) down the road. if you’re ready for lunch, the waffle window (3610 se hawthorne blvd) is just across the street. yum yum. spend some time just checking out the awesomely cute stores along hawthorne blvd, and pop into blue star donuts (3549 se hawthorne blvd) if you need a sugar refill at anytime. if you research portland, voodoo donuts will probably be the most famous donut place you come across reading about, but i just tried blue star, and the blueberry bourbon basil one i had was pretty good, even for a *donut-disliker* like myself.